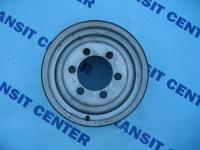 Ford Transit MK3 wheels and rims includes car parts like rims and hubcap. 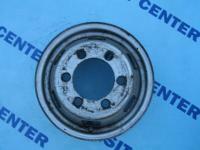 Ford Transit MK3 wheels and rims includes car parts like rims and hubcap. In our offer for MK3 model you can buy parts like the wheel, the wheel nuts and other equally necessary components. As everybody knows, the vans works in very difficult conditions and overcomes per month often several thousand kilometers across the country. Sometimes they are different highways, sometimes riddled - and these have a devastating impact on the condition of the tires and wheels. One day may happen, that we’ll damage the rims. Sometimes it is possible to repair, but in the case of serious damage will be needed the replace. Therefore, we can help and offer the wheels or the rims for example, for Ford Transit from 1990 in proper size. In that kind of car the best solution will be the steel rims, because their strength will ensure long exploitation. The significant advantage is the ability to make minor repairs at a roadside shop for a small amount. Also useful can be a hubcap. Of course, there is always a chance to order missing products – we invite you visit our website and contact by e-mail.